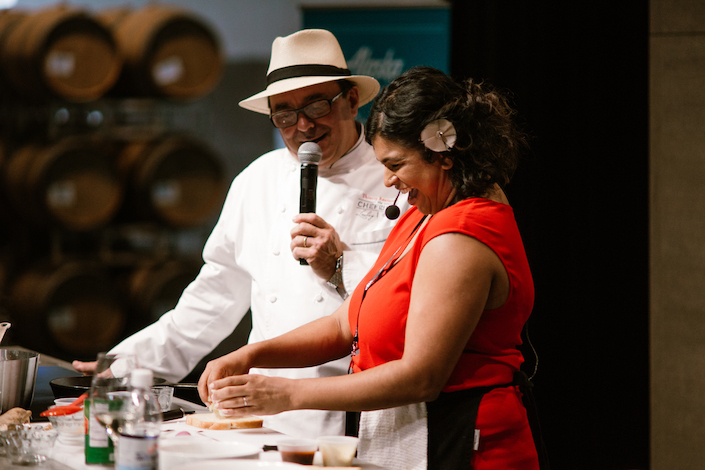 SEATTLE — Thierry Rautureau, Seattle’s acclaimed “Chef in the Hat,” will return to Taste Washington next spring and serve as master of ceremonies for the Alaska Airlines Mileage Plan Chef Stage. Rautureau, who operates Luc and Loulay Kitchen & Bar, headlines a lineup that includes celebrity chefs Gregory Gourdet, Stephanie Izard, Kristen Kish, Jason Stratton and Chad White. 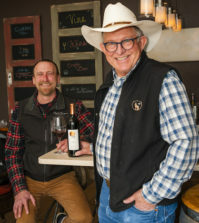 Taste Washington, billed as nation’s single-largest food and wine event, celebrates its 20th anniversary March 23-26 throughout the Puget Sound. The festival begins with Red & White Party, The New Vintage and On The Farm. During the March 25-26 Grand Tastings at the CenturyLink Field Event Center, patrons can watch cooking demonstrations and ask culinary questions from 2-5:30 p.m.
“Being immersed in a chef’s cooking process and culinary vision isn’t just entertaining – it also gives everyone a greater appreciation for Pacific Northwest cuisine and our local resources,” Ali Daniels, vice president of marketing at Visit Seattle stated in a news release. Gourdet’s fame took flight with a runner-up finish on Season 12 of Bravo TV’s Top Chef series, but his work regionally earned him semifinalist recognition last year for the James Beard Award’s Best Chef Northwest title. He works in both Portland and Denver as culinary director for Departure Restaurants. 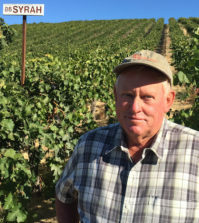 In 2013, the Oregon Department of Agriculture named him its Chef of the Year. He program for Departure features gluten free, vegan and paleo options. Izard became the first woman to win Bravo’s Top Chef Season Four, earning the title of “Fan Favorite.” Her accolades include James Beard Best Chef: Lakes Region in 2013 and Best Chef by Food & Wine magazine in 2011. She is executive chef/partner of three Chicago restaurants — Girl & the Goat, Little Goat and the new Duck Duck Goat. Kish won Bravo’s Season 10 of Top Chef in Seattle and served as a co-host of 36 Hours on the Travel Channel. Born in South Korea and adopted by a family in Michigan, she attended Le Cordon Bleu in Chicago and worked at Sensing for Guy Martin and Barbara Lynch’s Stir and Menton restaurants. Taste Washington will bring her back from traveling the world to work on her cookbook. Aside from Rautureau, Stratton might be the most familiar to Taste Washington attendees. A product of Café Juanita, he was co-chef at Poppy before moving on to Spinasse, where he earned a spot on Food & Wine magazine’s list of “10 Best New Chefs for 2010.” He later opened Artusi and Aragona, a James Beard semifinalist for “Best New Restaurant” in 2014. He’s now GM at Mamnoon on Capitol Hill. White, a product of the U.S. Navy, is known as one of Sea Diego’s top seafood chefs, earning the nickname of “The Seafood Maverick.” His television appearances include Travel Channel’s Bizarre Foods with Andrew Zimmern and Bravo’s Top Chef Season 13. He’s opened restaurants on both sides of the border — La Justina in Tijuana and Craft Pizza Co., and Común Kitchen & Tavern in San Diego — and also has earned acclaim for his work at Sea Rocket Bistro. The Spokane native recently launched Zona Blanca Ceviche in the Lilac City. 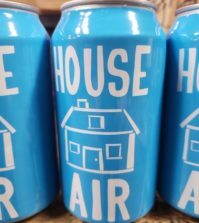 And Rautureau will help promote the Alaska Airlines Mileage Plan Chef Stage in the weeks ahead with his Seattle Kitchen Show on KIRO 97.3 FM. 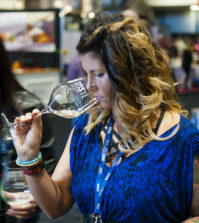 Grand Tasting ticket prices range from two-day VIP passes at $210, two-day general admission passes at $145, single-day VIP passes at $164 and single-day general admission passes at $95. There’s also the Taste & Savor Tour at Pike Place Market at $75 on each morning of the Grand Tasting. 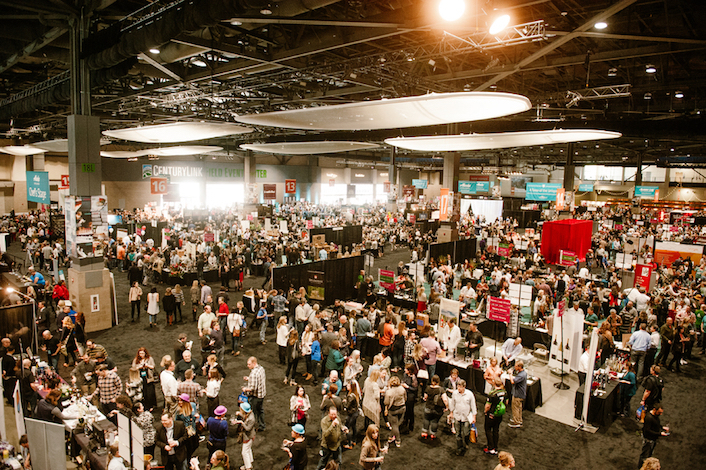 Organizers offer a $20 discount on the Sunday Grand Tasting general admission tickets with the code 20TASTE if purchased before Jan. 1.